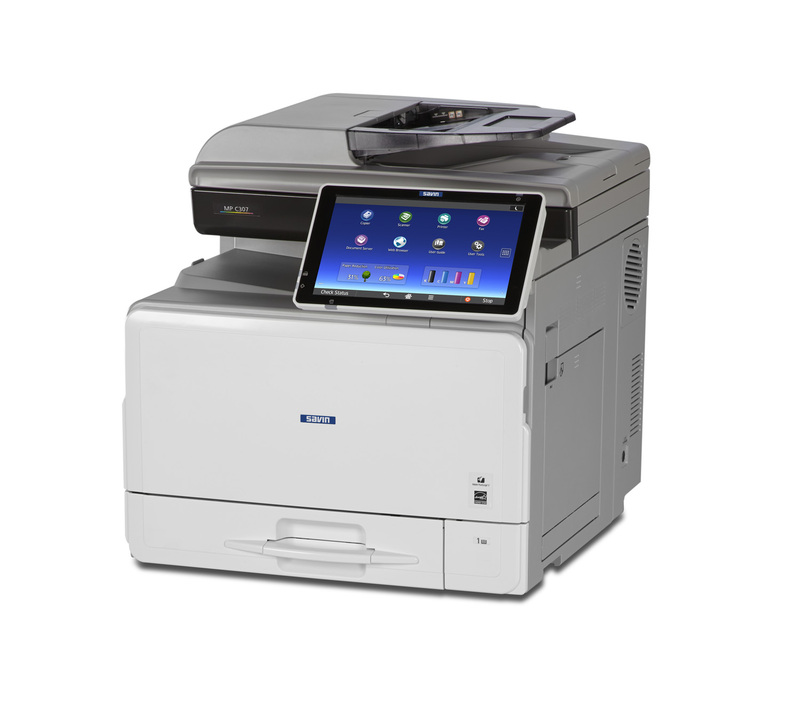 The MP C307 MFP is designed to bring new levels of productivity and capability to the mid-volume 8.5″ x 11″/A4 market. It is ideal for small/medium businesses and busy workgroups inside larger enterprise-class environments while delivering a professional print/copy/scan/fax/send/store feature set in a compact footprint. Expandable and versatile, the MP C307 will fit on a desktop or it can be equipped with one or two optional 500-sheet Paper Feed Units and/or a cabinet for floor-standing installation. Page Keeper models come with a multi-feed detection sensor that automatically stops a scanning job if more than one sheet is fed through the document feeder simultaneously.